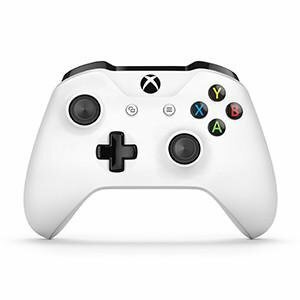 Experience the enhanced comfort and feel of the new Xbox Wireless Controller, featuring a streamlined design, textured grip, and Bluetooth technology for gaming on Windows 10 devices. Enhanced comfort and feel of the new Xbox Wireless Controller. Sleek, streamlined design and textured grip. Up to 2x the wireless range (40 feet/ 12 meters) compared to previous controllers*. *Button mapping available via Xbox Accessories app. Range measurement when using an Xbox One S console in a typical indoor home environment. The Bluetooth word mark and logos are registered trademarks owned by Bluetooth SIG, Inc.